A lot of people have their eyes on Google Glass. But Google isn’t the only company working on augmented-reality wearable glasses. An Osaka, Japan-based company called Brilliant Service has developed a new operating system dubbed Viking, designed for use in glasses. The company’s goal is to completely replace the cellphone. Built using Objective-C programming language, the OS offers only basic functions right now (phone, navigation), but will include most of the features found on smartphones today, and then some. The company also plans to open up Viking to developers, so they can write apps for the OS. Brilliant Service showed off a prototype of Viking at Mobile World Congress, and I gave it a try to see what the future might look like. To be clear, the company is only providing the software, not the hardware. 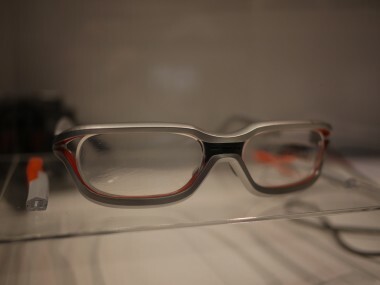 It’s currently looking for OEM (original equipment manufacturer) partners to make the actual glasses. As such, the device I tried on was basically a mini computer soldered onto glasses. It was extremely heavy and kept slipping off my face, not to mention nearly burning my forehead. 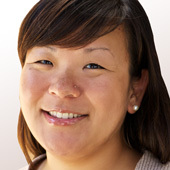 Brilliant Service director Erika Kang assured me that the final product will be a much more elegant device. So, back to the demo. After donning the glasses and being instructed to look down at the floor, a map appeared right at my feet, along with a compass to show which direction I was walking in. Looking up at the ceiling brought up a navigation menu, where I could then reach out in front of the glasses with my hand to select an app. Viking creates a crude outline of your hand and fingers, so you can track your movements and see where you’re tapping. I selected a drawing app from the menu, and I moved my hand around to paint a picture. To exit the app, I swiped my hand down. I also tried the phone app. When there was an incoming call, a telephone icon appeared, and by making the telephone sign (or shaka sign), it transferred the call to a Bluetooth headset. To hang up, I used the same gesture. 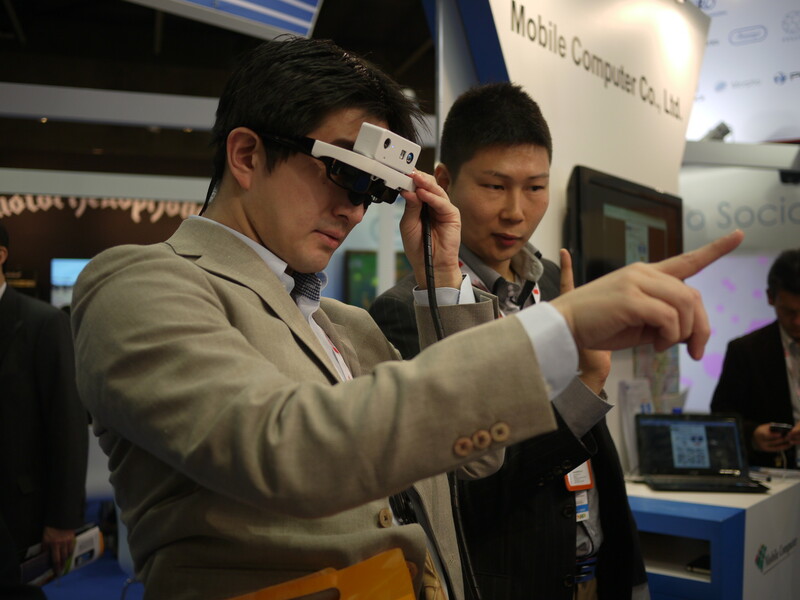 King said these gestures is what makes Viking different from Google Glass. But while they worked just fine, I can’t imagine waving my hands in front of me like a crazy person just to use my phone. The company plans to add voice recognition in the future, so you can simply dictate commands. It also envisions features like a virtual keyboard where you can look down at a desk and start typing. Also on the radar is a translation function where you can look at a person speaking a foreign language and see translated text right above their head. Viking has only been in development for about a month. There’s no specific time frame of when (or if) we might see Viking-powered glasses on the streets, or how much they’ll cost. But King said the goal is to offer them at a consumer-friendly price.